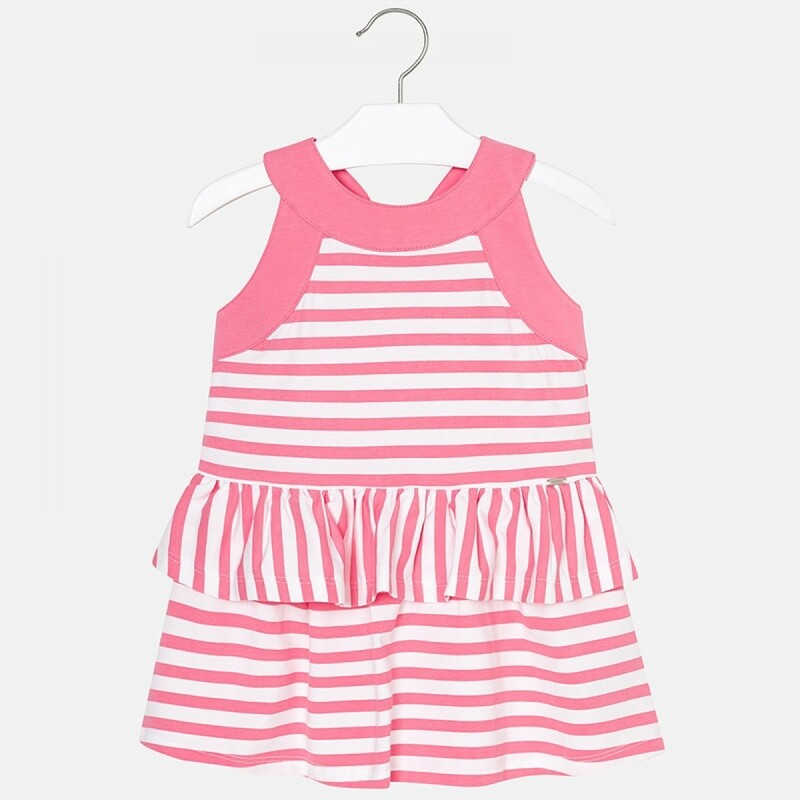 Beautifully made in a soft summer cotton mix, with crossed back straps and a timelessly stylish ruffle design stripe print, it's an effortlessly cool summer number that your young lady is bound to adore! The crossed back straps are a delightful feature that really lift the dress into something special. It's a piece that you can dress up or down - it would look amazing with a summer hat or a lightweight jacket when the evening comes.